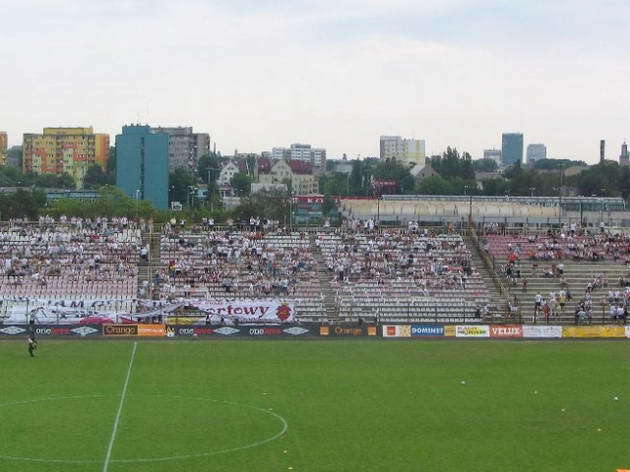 First president of Lodz since Poland reclaimed independance announced in 1922 the will to build a sports complex for the developing ŁKS, a multi-discipline club that existed for over a decade and needed infrastructure. 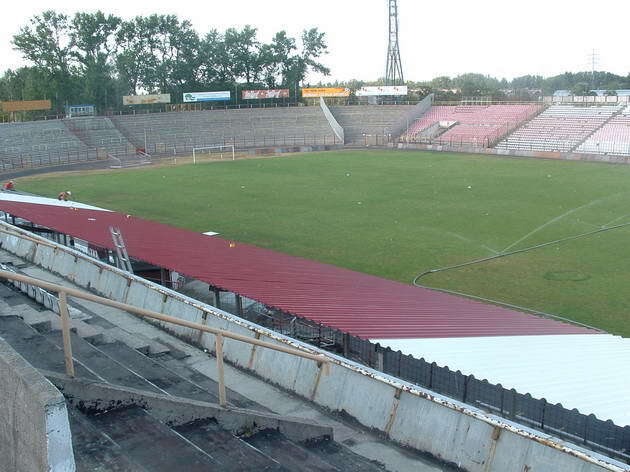 Part of the complex was the multi-use ground built in 1924-25. 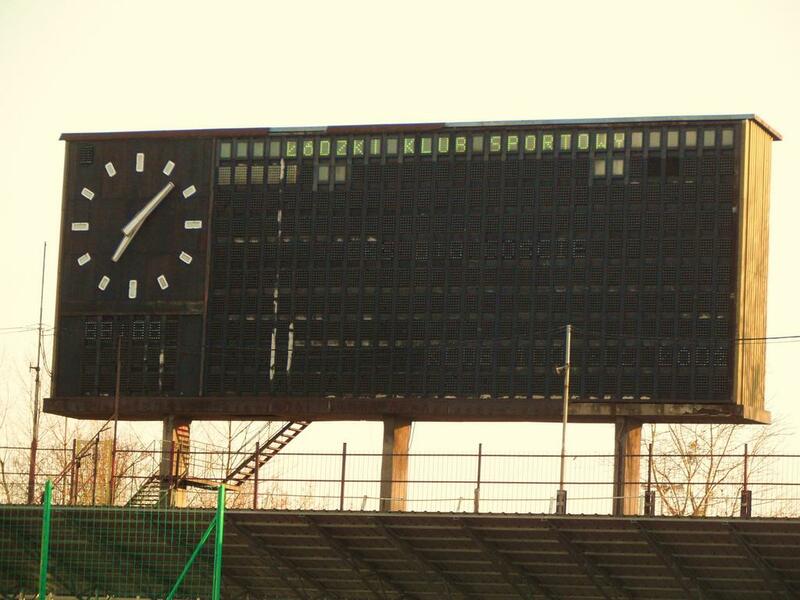 Most important upgrade came in 1969-70. 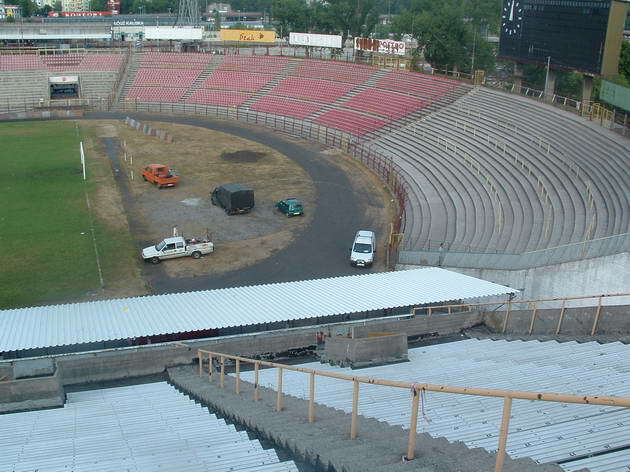 First a new main grandstand was erected. 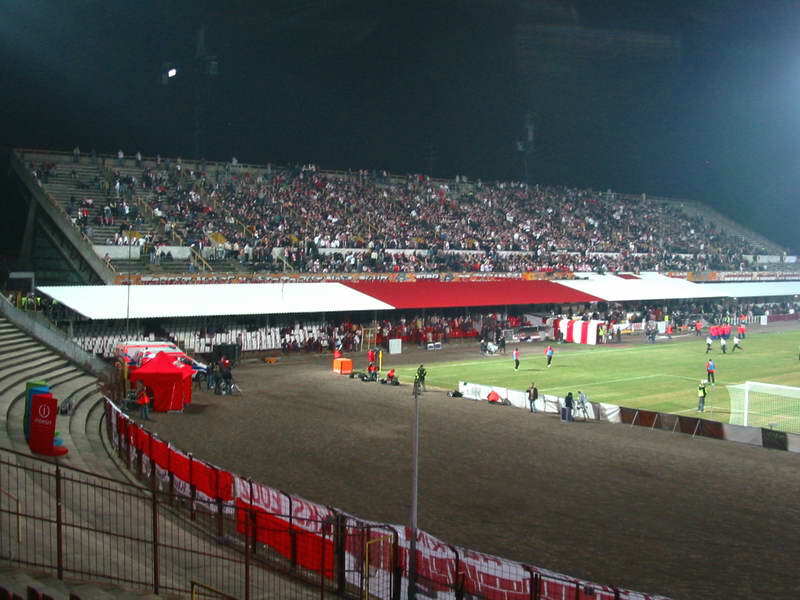 Apart from being one of the largest of its kind in the country back then it had an indoor hall for some 1,000 spectators under the football terracing. 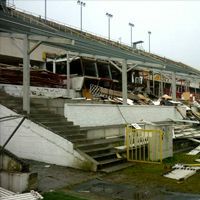 The hall served basketball and volleyball sections of the club for over 4 decades. 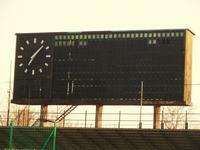 Then in 1970 four large floodlight masts arrived. 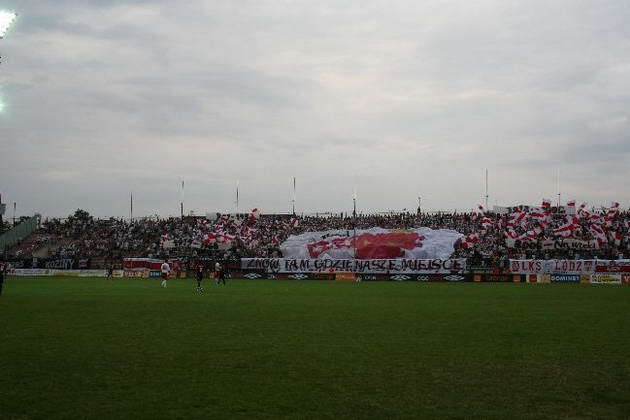 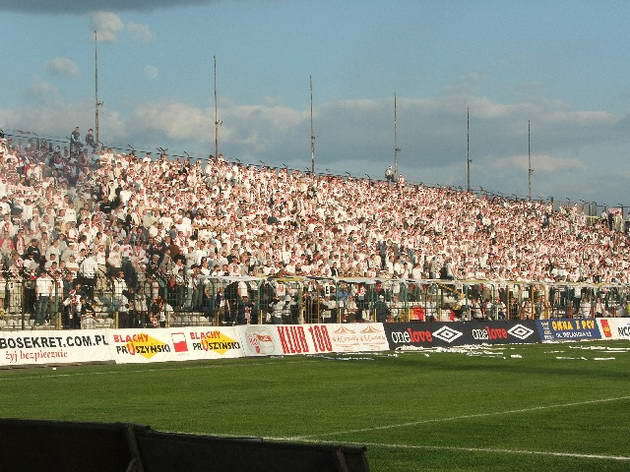 All this allowed ŁKS to gather some 45,000 people for an all-time high against Polonia Bytom in 1971. 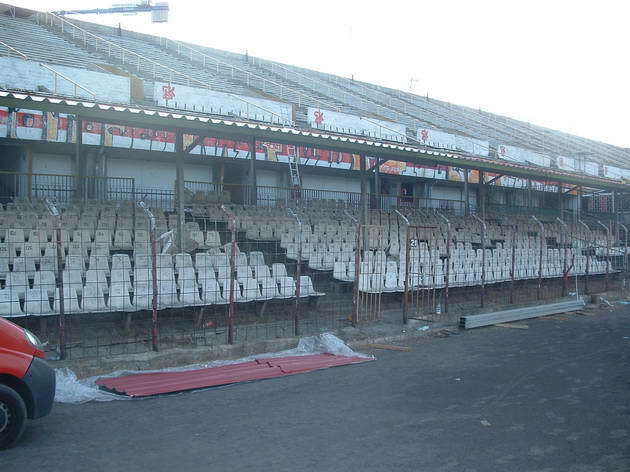 After seats were installed in 1990's the stadium was slowly delapidating. 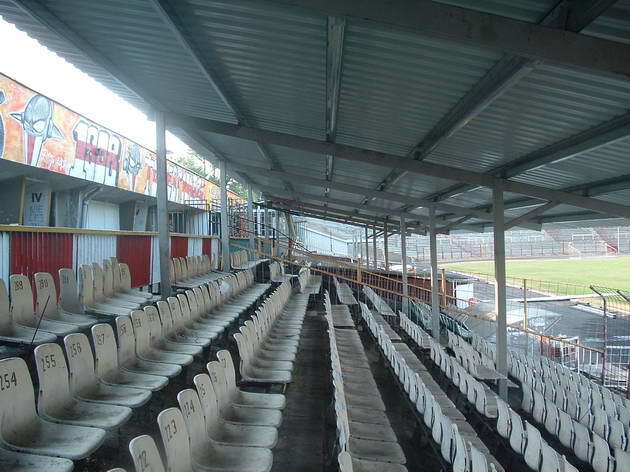 In 2007 the club declined ownership and transferred the ground to the municipality which was the only entity able to finance any major refurbishments. 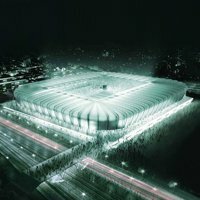 In 2009 a design conest was held, but despite several interesting ideas, the plan for a new 30,000 ground was not implemented. 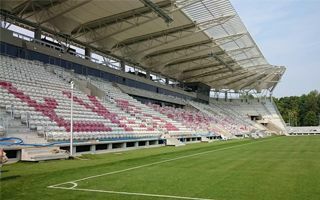 Then in 2011 a new vision appeared - this time a smaller venue, of 16,500 seats, was to be built partly in the place of this one. 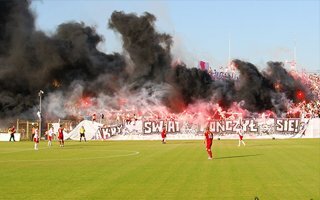 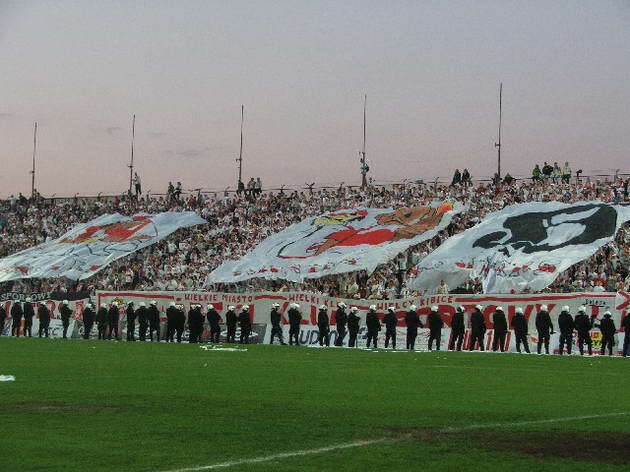 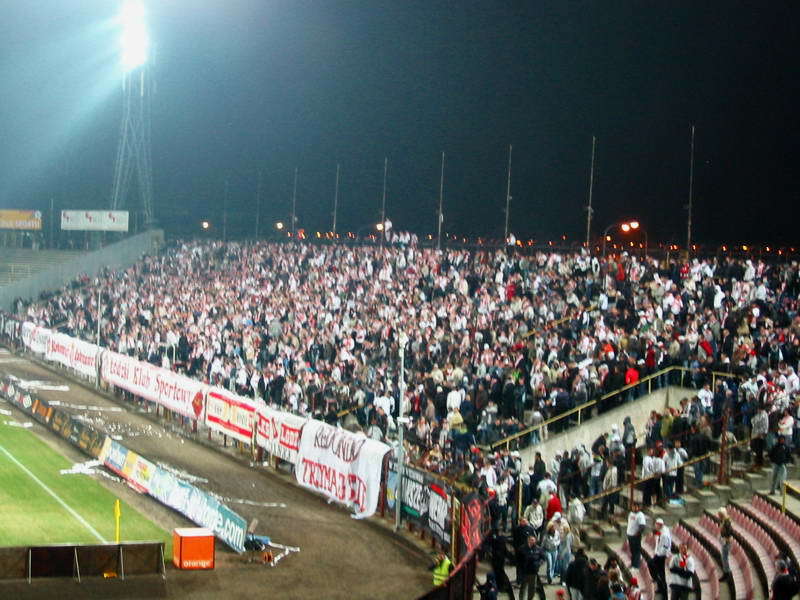 Two-time domestic champions, one of Poland's oldest football clubs, ŁKS folded last year after insolvency. 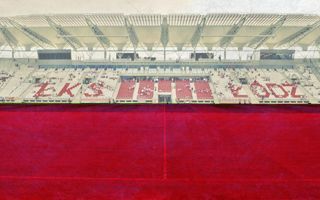 Now supporters are rebuilding it from scratch and have just filed a stadium capacity expansion application. 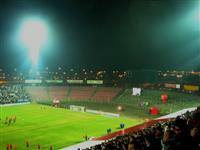 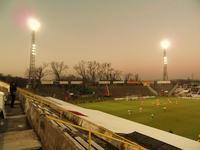 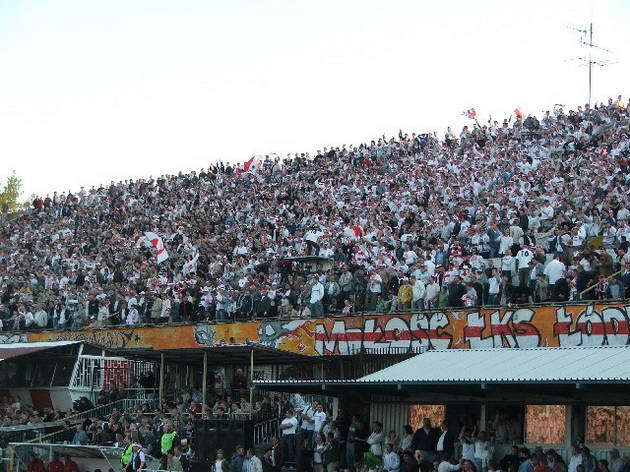 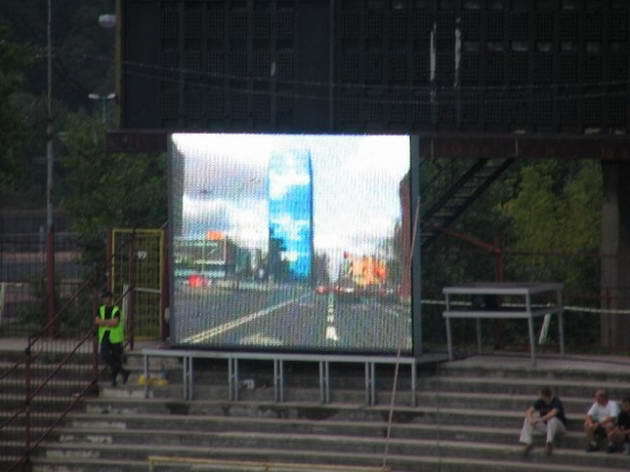 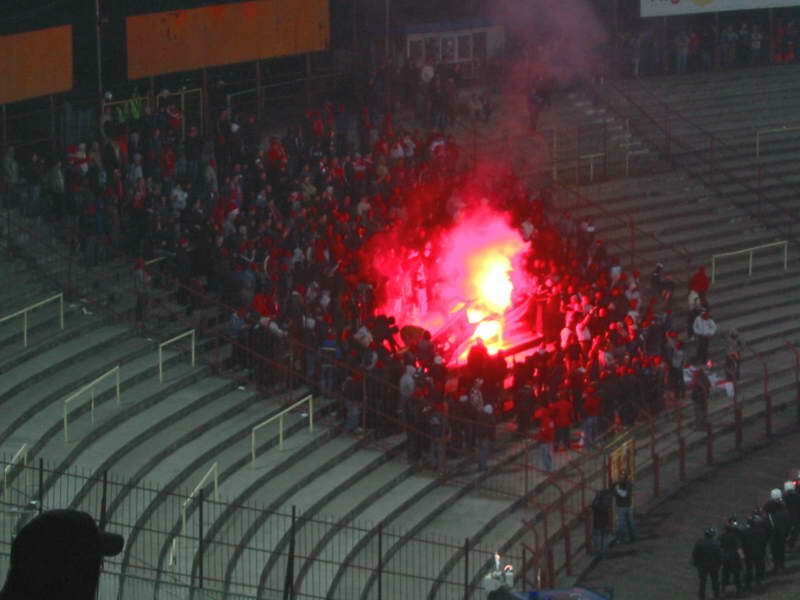 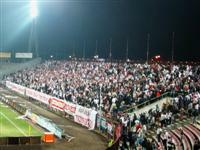 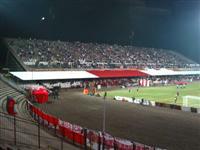 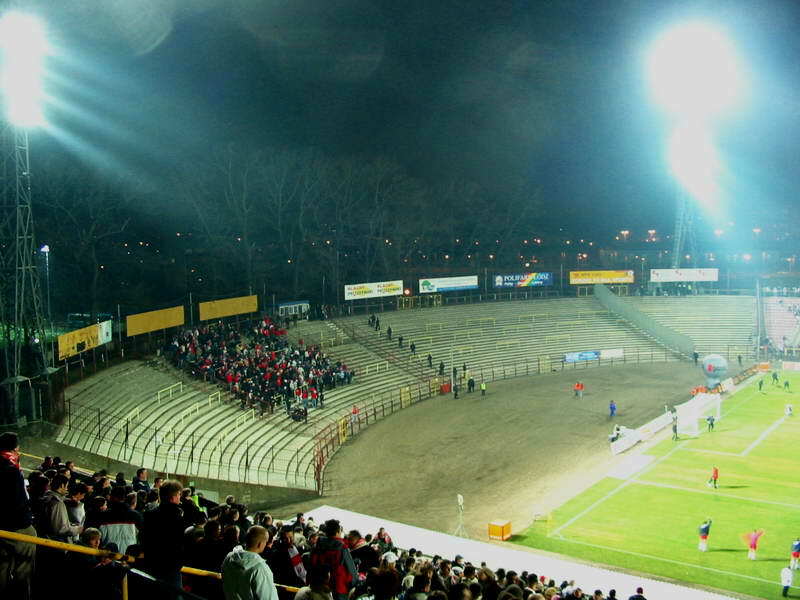 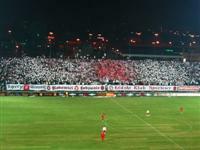 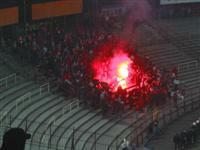 Current images are rather sad and sentimental as the old stadium, one of Poland’s most well known, is being demolished. 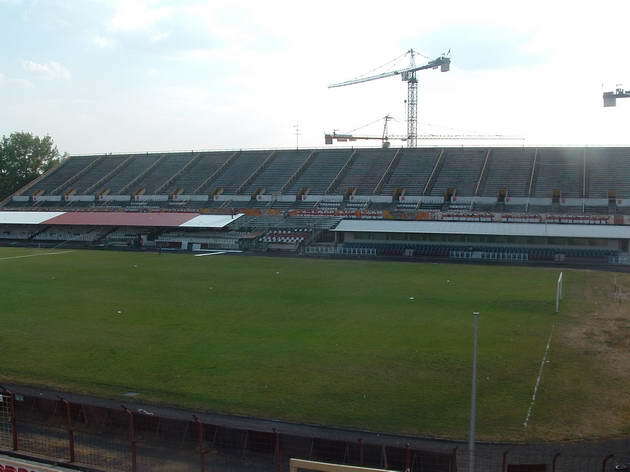 Soon it will be replaced by training pitches, while a brand new ground is to be built north of the site, initially with only one stand. 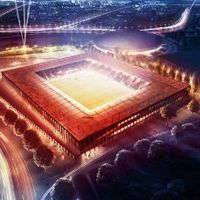 It has to if local football side is to use the ground during initial phase of the project. 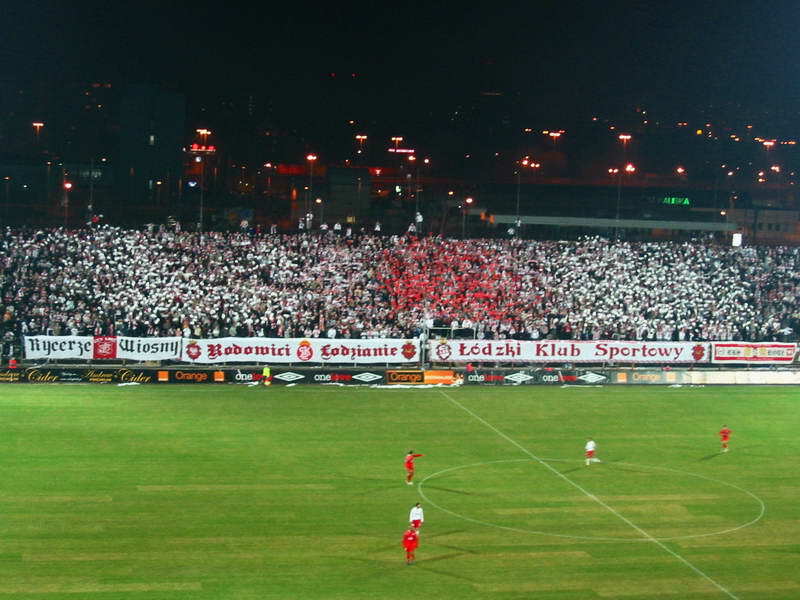 General contractor hopes to launch works on pitch and floodlight relocation next week, according to Sport.pl. 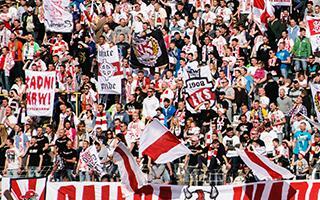 Despite protests the Lodz municipality are set for groundbreaking on July 2nd. 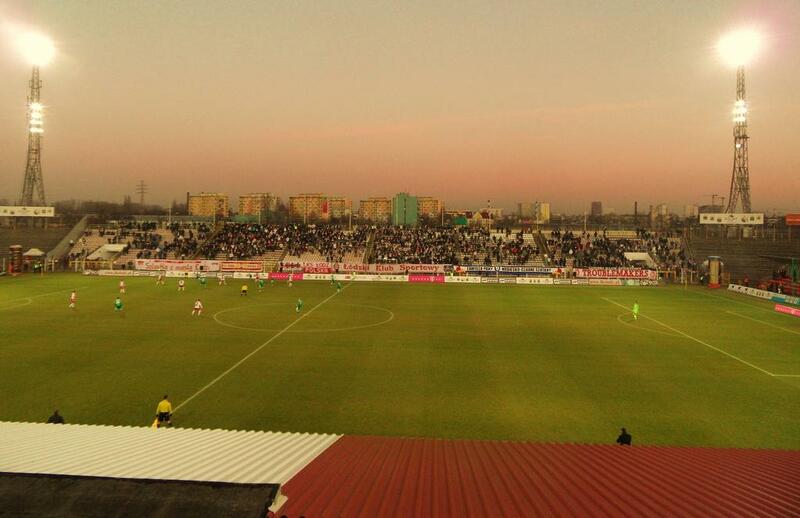 New stadium for 16,500 people and an indoor arena should be ready by Spring 2014 – “Dziennik Lodzki” reports.